Snow is comparatively unusual on the Isle of Skye, the warm atlantic currents and west coast climate are usually too mild to support it for any length of time. 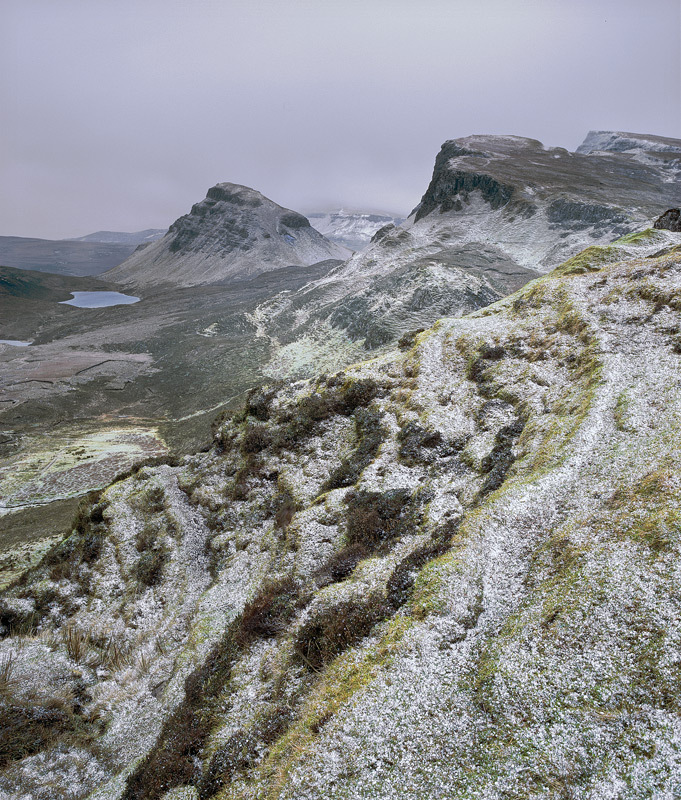 This delicate icing sugar dusting couldn't have been more sympathetically deposited on the peaks of the Quiraing. It allowed all the delicate colours to show through in a muted palette which I find stunningly beautiful.